So you’ve arrived in our wonderful Lake District World Heritage Site and you want to swim, dip or dive into a piece of the action and you’re wondering where to swim in the Lake District? 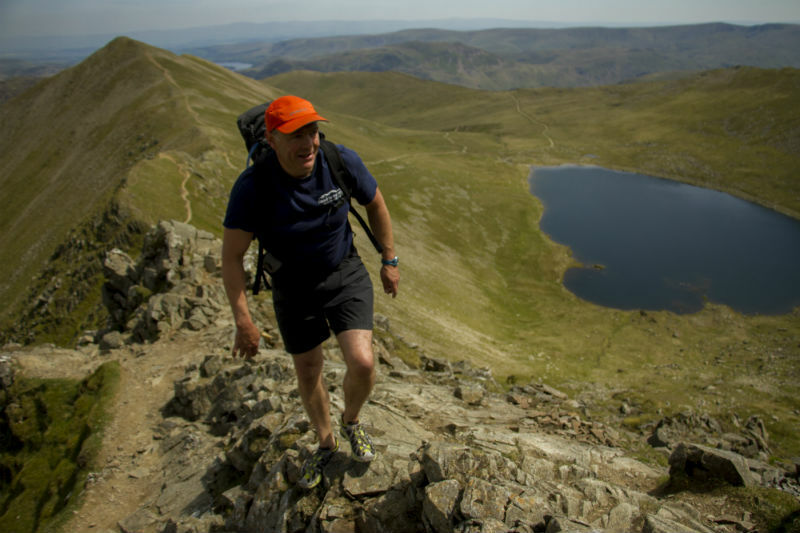 Go on, knock yourself out… we have 94 tarns, meres and lakes as well as countless dubs, pools, becks and rivers, and you can swim in nearly all of them. Meres and waters are romantic names for our lakes that reflect our Old English and Norse heritage and provide swimming challenges that are immensely stimulating. Swimming long-distances in big lakes can become something of an addiction and there is plenty here to satisfy keen outdoor swimmers. However, If you are new to it all, don’t be put off, head to the smaller lakes which are more sheltered and less intimidating. There really is something for everyone in the Lake District. Hardy long distance swimmers will head for lakes like Windermere (10.5miles) and Ullswater (7.3miles). 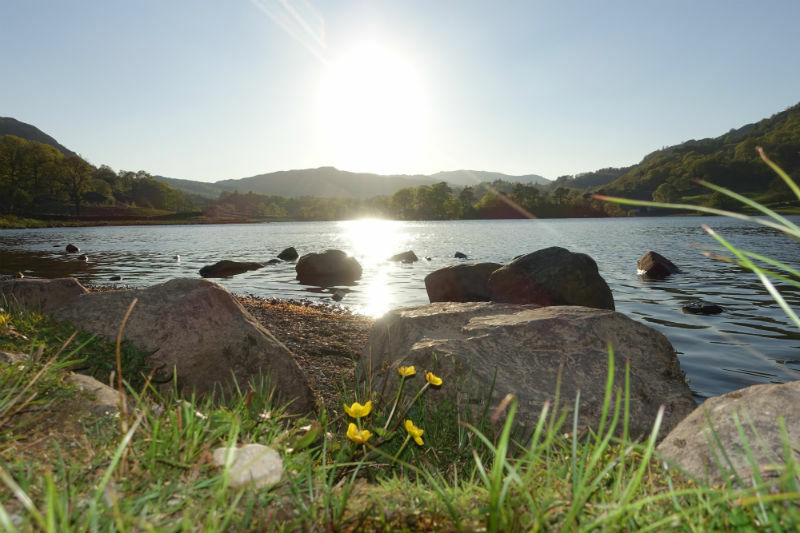 Families, and those wanting to build experience and confidence, will head for friendly lakes like Grasmere and Rydal Water with more shelter and more shallows to swim in. See our Lake Swimming in the Lake District article for where to swim in the Lake District. Tarns are smaller lakes, situated at the heart of the mountain environment with all of the dramatic scenery and wild weather associated with it. Getting to the tarn you want to swim in and dealing with the weather is usually the tough bit. Adventurous tarn swimmers will be rewarded for their efforts by crystal clear waters and swimming experiences to be treasured for a lifetime. See our Tarn Swimming in the Lake District article for suggestions on tarns to swim in the Lake District. Who can resist a dip in a clear river pool? We call them “dubs” or “pots” here in Cumbria; far more descriptive words for the deep and often hidden wild places that they are. There are popular, well known places like Black Moss Pot in the Langstrath Valley in Borrowdale to visit, which is great for a swim on a sunny day. Alternatively you can spend a day out in the valleys of the fells, looking for your own secret places. Our Wild Swimming in the Dubs, Pots and Pools of the Lake District article will help you with where to start your adventure. What links all of the bodies of water listed above? Rivers and streams of course, so there are mile upon mile of water to explore here. Most of the gills, becks and rivers of the Lakes are “spate rivers” meaning they flood a lot, and when they are not in flood they can be quite rocky and shallow. 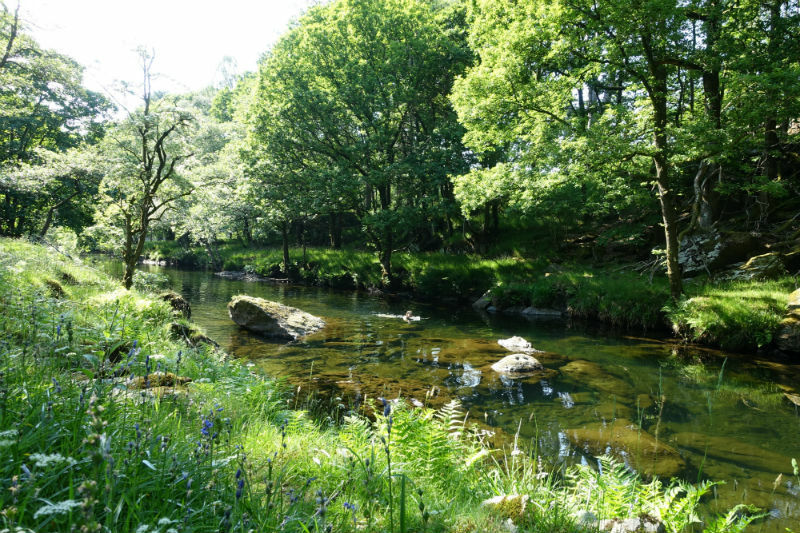 There are however still some cracking rivers to explore in the Lakes; our faves are the Rivers Brathay, the Esk and the Duddon. 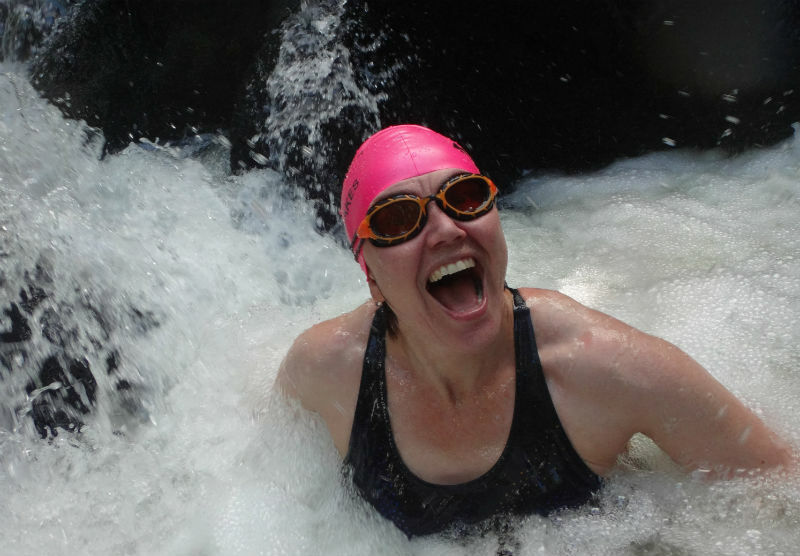 See our River Swimming in the Lake District article for where to river swim in the Lake District. If you still looking for inspiration to start your next adventure swim, book on one of our exciting and popular series of Swim the Lakes guided swims for this season and then go on to do your own thing with more confidence and local knowledge. Happy swimming! Which Lakes can you swim in the Lake District?